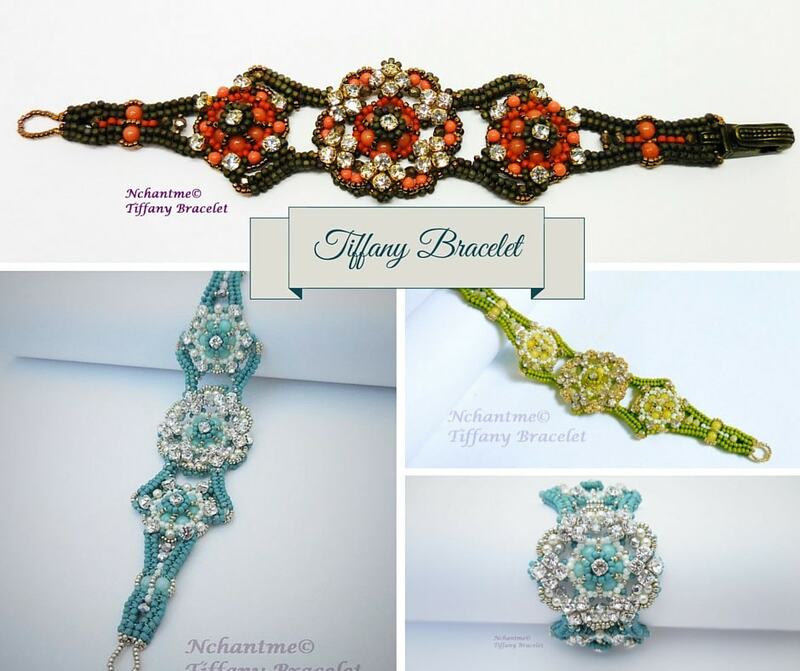 Classy, delicate and charming with a vintage feel, Tiffany Bracelet provides a touch of elegance for your wrist. 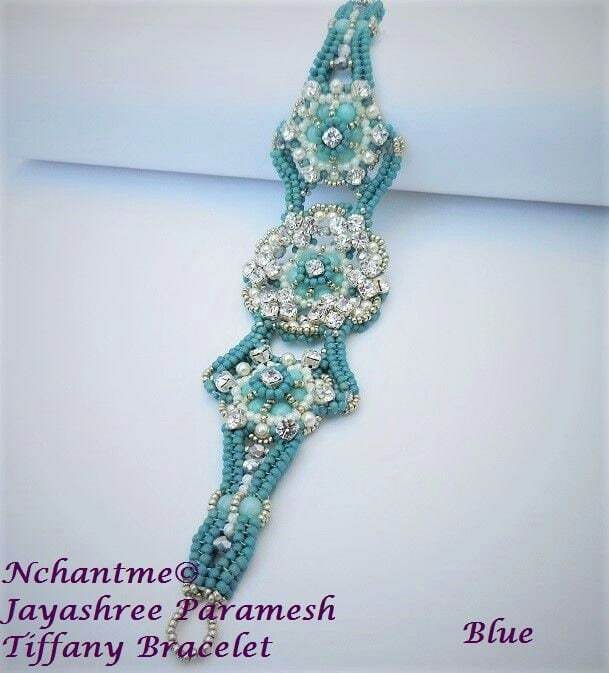 The centerpiece of this bracelet blooms like an exquisite flower with a halo of sparkly crystals perfectly stitched with pearls, semi-precious gemstones and seed beads. Techniques: Ndebele Herringbone, Square, Picot and other stitches. Length: 7 ½” including clasp. Adjustable. 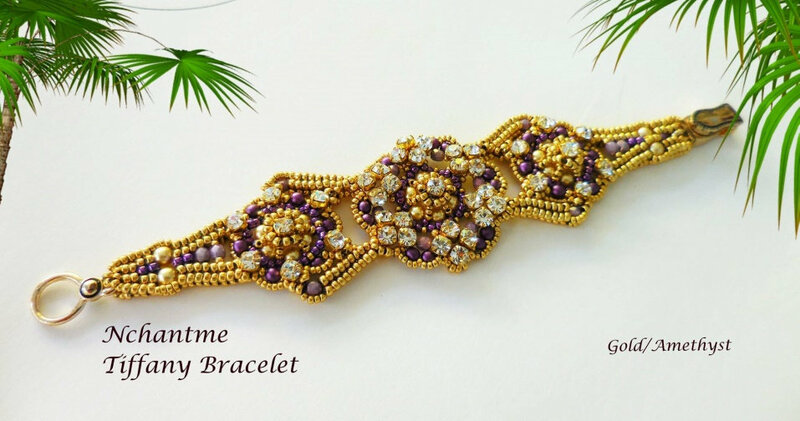 Tutorial includes about 75 digital step-by-step illustrations with text in English which will make it beading this bracelet a breeze!